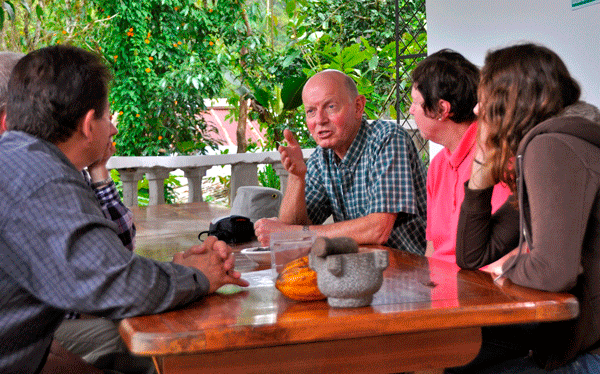 El Quetzal offers in-depth chocolate and coffee tours every day. Book a tour today and try some of our famous Mindo brownies made with our International Chocolate Award winning Mindo Chocolate! Mindo Chocolate tour is offered seven days per week from 10:00 am to 6:00 pm, we offer in-depth tours so that you can see our process and learn how chocolate is made from "bean to bar". We offer a second tour La Leyenda de Chocolate where we make a chocolate beverage, hands on, like it was made 5,000 years ago. Join in for this festive event. Since 2009, we've been on a journey to make the best chocolate possible, a long process that starts on local family farms and ends in our hand-wrapped bars at El Quetzal. We source the finest organic Nacional cacao from small family farms near Mindo and oversee the first critical stages of the process: fermentation and drying of the cocoa beans. After drying, we roast in small batches at El Quetzal, imparting a caramelized, chocolatey flavor to the cocoa beans. Roasted cocoa nibs are then refined and conched by one of two methods: stone-grinding or ball refining. Over the course of many hours, the nutty, earthy nibs are refined into a smooth molten chocolate. Finally, we temper, mold, and wrap the chocolate by hand. We are the premiere coffee roastery in Mindo. We roast fresh and serve only award winning Arabica coffee. In our coffee tour you will learn by doing in our Mindo style Minga where everyone pitches in and we begin on the farm walking through the coffee trees. We next learn the process of making coffee from the tree, harvesting, fermentation, removing the cherry, the parchment, roasting, grinding and all the methods of preparation and finish with a final cupping. We invite you to join us and observe each part of the chocolate-making process. 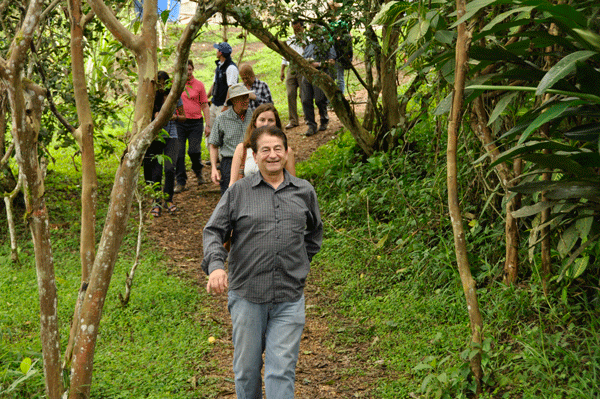 We now are offering a second tour called La Leyenda de Chocolate Tour. 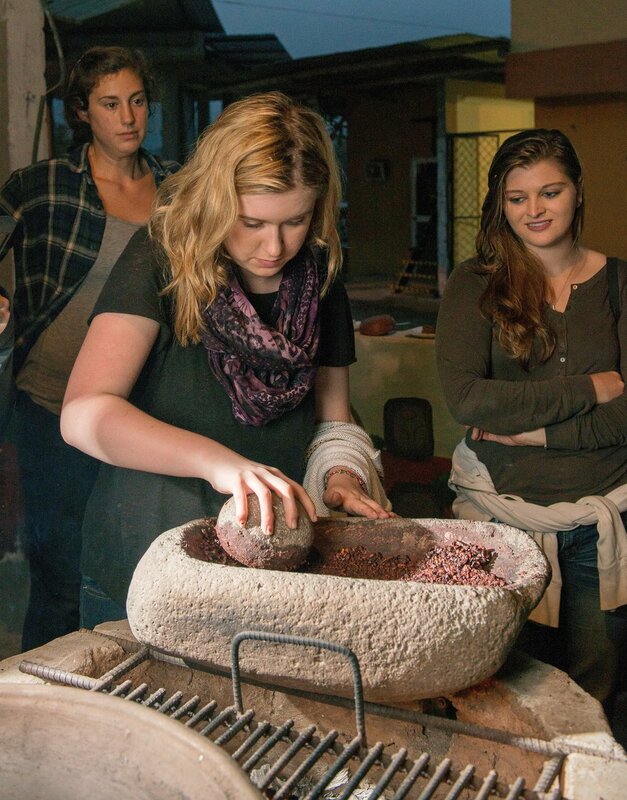 This tour is hands on chocolate makinh and includes all of the steps from roasting to drinking the beverage "chocolate" that has been consumed for more than 5,000 years. Learn each step of how small batch chocolate is made from the bean to the bar. Finishing with a decadent array of chocolate tastings and pairings. You do not need to reserve a spot on the tour in advance*. Simply arrive a few minutes before the hour to purchase tickets. You are always welcome to order a meal as your tour begins. *Groups larger than 20 persons, please contact us to reserve your tour in advance. A Minga is when a group gets together to work on a project...in this case we are making chocolate. Drumming adds fun to the activity of hands on roasting, grinding, and mixing the beverage and you get to pitch in or just observe as you learn how chocolate has been made and consumed as a beverage for thousands of years. You can purchase tickets before the tour at our location or from a tour office. In a hurry? You are always welcome to order a meal in our restaurant as your tour begins and it will be ready when you finish the tour. We welcome school groups and large groups. We can accommodate 120 guests. 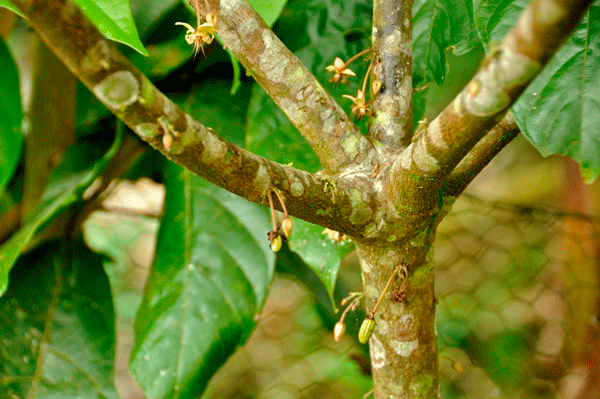 Pitch in and learn hands on each step of coffee making from the tree to the cup. You will need to purchase tickets before the tour at El Quetzal or from a tour office. You are always welcome to order a meal in our restaurant as your tour begins and it will be ready when you finish the tour.